For years, the Capital One® Venture® and VentureOne® credit cards have been our go-to recommendation for young travelers looking for a credit card to take abroad that offers no foreign transaction fees and a straightforward rewards program. The Capital One® Venture® Rewards Credit Card earns 2x miles on all purchases that can be redeemed for any travel at any time. Miles don’t expire and there’s no limit to how much you can earn. As a new cardmember, you can earn 50,000 miles once you spend $3,000 on purchases within three months of approval, equal to $500 in travel. The card has a $95 annual fee that’s waived the first year. There’s also a no annual fee version, the Capital One® VentureOne® Rewards Credit Card that earns 1.25 miles on every purchase. You can read our full review and comparison of the Venture and VentureOne Rewards cards, but most people will get far more miles by paying the fee and earning double miles. If you want a no-annual fee card for international travel or simply earning miles, the aforementioned Bank of America® Travel Rewards Credit Card has a better rewards rate than VentureOne. If you have excellent credit, the Chase Sapphire Preferred® card is the must-have card for any serious traveler and also an excellent choice for anyone heading abroad. It has an introductory annual fee of $0 the first year, then $95—still well worth it if you’ll do a bit of spending on the card. It has no foreign transaction fees, plus chip-enabled for enhanced security and wider acceptance when used at a chip card reader. Best yet, Sapphire’s points-based travel rewards program quickly earns you free travel. You’ll earn 2X points on travel and dining at restaurants worldwide & 1 point per dollar spent on all other purchases. When redeemed for travel through Chase Ultimate Rewards, these points can be traded via 1:1 point transfer to leading airline and hotel loyalty programs. Or, you can get 25 percent more value when you redeem for airfare, hotels, car rentals and cruises through Chase Ultimate Rewards. For example, 50,000 points are worth $625 toward travel. This card also has an award-winning 24/7 dedicated customer service line that can come in handy while you’re traveling. There’s also a generous bonus for new cardmembers: Earn 50,000 bonus points after you spend $4,000 on purchases in the first 3 months from account opening. That’s $625 in travel when you redeem through Chase Ultimate Rewards. Read our Chase Sapphire Preferred® review. In our full review of the Wells Fargo Propel American Express® Card, we called it the “godfather of credit cards”. And we stand by that statement. With no annual fee, a rewards program that has a far-reaching earn net, and a 0 percent APR introductory offer on purchases and balance transfers for 12 months, the card is a standout all-purpose credit card. But when it comes to international travel, it really soars. You can earn 3x rewards points (two bonus points + one standard rewards point) for every dollar you spend on travel. And Wells Fargo has defined that category broadly – it includes: airline tickets, hotels, rental cars, cruises, travel agencies, travel sites, and campground purchases. The Wells Fargo Propel American Express® Card comes with a lot of additional travel benefits. You’ll get important emergency assistance, auto rental collision damage insurance, and $1,000 in lost luggage insurance. Suffice it to say, you’re covered if you travel with this card. The Bank of America® Travel Rewards credit card has no foreign transaction fees and no annual fee. You’ll earn 1.5 points per $1 spent on all purchases and your points don’t expire. There’s also a sign-up bonus—you can earn 25,000 online bonus points if you make at least $1,000 in purchases in the first 90 days. That’s worth $250 as a statement credit toward travel. Although not as valuable as the 50,000 points Chase offers, the $250 sign-up bonus is one of the highest I’ve seen from a card with no annual fee. The Bank of America® Travel Rewards credit card is a good option for any traveller, but it’s especially rewarding if you use other Bank of America® products. You can get an additional 10 percent customer points bonus on every purchase when you have an active Bank of America® checking or savings account. Preferred Rewards clients can earn even more. The Capital One® VentureOne® Rewards Credit Card earns rewards at a lower rate than other cards on this list, but it remains a decent choice for someone looking for a travel rewards credit card with no annual fee and no foreign transaction fees. If you’re not a big spender, you might want to opt for a card like the Capital One® VentureOne® Rewards Credit Card instead of a card with a large annual fee you’ll struggle to justify. The card’s reward structure is simple, unlike some other cards’, which might force the user to keep track of quarterly rewards category. You’ll also get a healthy sign-up bonus of 20,000 miles when you spend $1,000 on purchases within 3 months of opening the account, which is a $200 value. With the Capital One® VentureOne® Rewards Credit Card you’ll get additional travel perks like the ability to earn 10x miles through hotels.com. Capital One® Venture® No foreign transaction fees. 50,000 miles (worth $500 in travel) sign-up bonus. Double miles on every purchase. $95 annual fee, waived the first year. Chase Sapphire Preferred® No foreign transaction fees. Global concierge service. 50,000 sign-up bonus points (worth up to $625 in travel). $95 annual fee, waived the first year. Wells Fargo Propel American Express® Card No foreign transaction fees. 30,000 bonus points when you spend $3,000 in the first three months (worth up to $300 cash redemption value). No annual fee. Bank of America® Travel Rewards credit card No foreign transaction fees. 25,000 bonus point (worth $250 in travel) sign-up bonus after spending $1,000 in the first 90 days. Unlimited 1.5 points per dollar spent. No annual fee. Which credit cards are accepted worldwide? Most importantly, you want any credit card for international travel to be accepted everywhere you go. That means a Visa or Mastercard. Although American Express cards are accepted in a lot of places, you will find a lot of merchants that do not accept Amex outside of the United States. You’ll be able to use your American Express cards almost anywhere in the world at large hotel chains and other international travel providers, but don’t expect to use an Amex at a local restaurant or store. 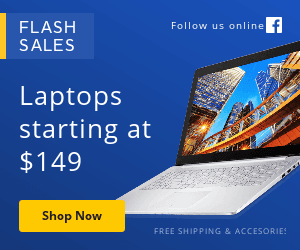 And though Discover cards offer great benefits and some of the lowest foreign currency exchange rates, Discover cards are not widely accepted outside the United States, period. 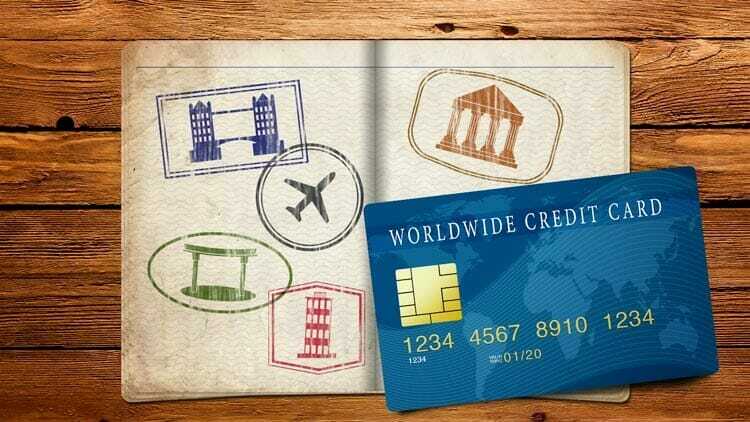 Do you need to use a chip-enabled credit card to travel overseas? Yes. Although here in the U.S. we’re still getting used to credit cards with “chips” (also known as EMV technology), these chip-enabled cards have been standard in Europe and other parts of the world for years. In the unlikely situation that you still have a credit card without a chip, consider picking up another card to carry overseas—or call your credit card issuer and ask if they’ll send you a new version of your card. If you try to use a credit card without a chip overseas, the best case scenario is that it will work, but you’ll get a lot of funny looks. Worst case, the merchant won’t be able to accept the card. What are foreign currency transaction fees? Many American credit cards charge foreign currency transaction fees of 2 or 3 percent on every purchase you make that is not in U.S. dollars. This is what you want to avoid. Any time you spend money in another country you’re going to pay something for converting U.S. dollars into the local currency. This is true whether you exchange cash at a money changer, withdraw local currency at an ATM, or make purchases with your credit card. Sometimes, you don’t even realize it because the bank simply gives you a less favorable exchange rate and pockets the difference. Other times, they charge you a percentage of the money changed in addition to the hidden profit they earn on the exchange rate. Generally, making purchases on your credit card gives you a better exchange rate than using a money changing service. But if—and only if—the card doesn’t charge a transaction fee. These fees add up. As an example, let’s say you live abroad for a while and charge a total of $5,000. On a card with a 3 percent transaction fee, that’s an extra $150. The best cards for international travel do not charge this fee. Which credit cards offer the best international customer service? Say you’re traveling internationally and you lose your card. How easy will it be to get help from your credit card company? All cards have customer service numbers you can call from abroad, but some cater to international travelers with a slightly higher level of service—offering things like guaranteed live operators and concierges that can help you figure out local travel or make dinner reservations. Our number one pick, the Chase Sapphire Preferred® Card, offers such a concierge service that’s designed to help with whatever travel needs you may have—wherever you are in the world. Should you get a travel credit card? Not sure you want a travel credit card? Finding the right credit card for you is much simpler if you know your credit score, and can narrow your search to only the cards you know you’ll get approved for. We’ve made it easy for you. If you don’t already know your score, use our quick and free Credit Score Estimator tool – then find the perfect card for you! Even if you don’t get a new credit card before you leave the country, do check with your existing credit card companies and bank to learn their fees on foreign transactions before you go, and try to stick with the cheapest method. Typically, withdrawing cash at an ATM or using your credit card will be less costly than using money changers. Look for rewards to put toward an upcoming trip? Here are some more of the best credit cards of 2019.